Smart Twezers Available from Huizhou Kerui Trade Co. Ltd. in Huizhou, China. Siborg Systems Inc. and Huizhou Trade Co. Ltd., based in Huizhou, China, have signed a new agreement to offer Smart Tweezers and LCR-Reader in China and surrounding areas. This new deal brings Smart Tweezers to customers faster with less wait times for shipping and customs, as well as a closer location to send devices for repair or maintenance. Smart Tweezers Gain Distributor in Vietnam with Thang Long P&T Int. Co. Ltd.
A new deal between Siborg Systems Inc. and Thang Long P&T Int. 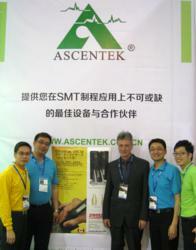 Co. Ltd. have brought Smart Tweezers to Vietnam. This partnership will better serve customers in Asia looking for Smart Tweezers, while reducing shipping costs and wait times for customs. The new ST-5S and LCR-Readers have been shipped to distributors worldwide to AdvanceTech in India, KaiserTech in the UK, Sanata Ltd. in Russia and VanDevice in Japan. With these distributors, users across the globe have access to the ST-5S and LCR-Readers without waiting for shipment from Canada and possibly long customs waiting times. Siborg Systems Inc. has updated their online catalog for replacement parts for models ST-2, ST-3, ST-5, ST-5S and LCR-Reader. A Smart Tweezers History is available here. This larger catalog will better provide users with a place to easily order all replacement parts. Siborg Systems Inc. has a new distribution partner, Lokmita in Lithuania. Lokmita is a Lithuanian company which sells modern and high quality measurement equipment that is simple and has integrated software. Lokmita provides the equipment warranty and after sales service, maintenance and installation work. Lokmita also offer a variety of temperature measuring instruments, soldering supplies and a large range of equipment. Lokmita selects only the trustworthy manufactures and makes sure it has competitive pricing. Customers are not only for Lithuanian enterprises, budgetary institutions, private individuals, but also to foreign companies. We always seek to take into account the needs of customers and offer them the most suitable solution. Siborg is excited to have this new channel in Lithuania, furthering the worldwide availability of Smart Tweezers and LCR-Reader LCR-meters. You can visit the Lokmita website here. Siborg Systems Inc. has utilized Amazon.com and Amazon.ca for selling Smart Tweezers and LCR-Reader. Siborg is also using Amazon’s fulfillment service, customers in the United States will have a shorter wait time for receiving their devices, and Amazon Prime members will benefit from free 2 day shipping. The very first public glimpse of Siborg Systems Inc.’s new LCR-Reader, a simplified model of Smart Tweezers LCR- and ESR-meter, featuring a lighter weight and price with high accuracy measurements. Siborg Systems Inc.’s new, updated model in the Smart Tweezers family was presented for the first time in Shanghai. The new LCR-Reader offers users the same familiar functionality as Smart Tweezers LCR-meter, but boasting half the weight and half the price without limiting the high accuracy measurements. The LCR-Reader was presented at Nepcon Shanghai Trade Show, the largest electronics manufacturing show in China. About 20,000 visitors and hundreds of exhibitors attend the show, including leaders in Surface Mount Technology, including; Fuji Machine Manufacturing, Sony, Panasonic Factory Solutions, Hitachi, OK International and Heller. The cost reduction was possible by way of cheaper manufacturing cost to the benefit of the consumer. The device keeps the same high accuracy known in Smart Tweezers with a basic accuracy of 0.1%, the same accuracy available on the previous ST-2 model. The updated design offers a one button navigation, one push of the button cycles through measurement modes including; A Automatic, C Capacitance, L Inductance, R Resistance, ESR Equivalent Series Resistance. LCR-Reader automatically selects the best range for L, C, R and ESR measurements, based on the component value and type. Parasitic impedance components, such as the R for C or L, are measured and shown, along with the main impedance component. All measurements are performed at a test signal amplitude of 0.5 Vrms. 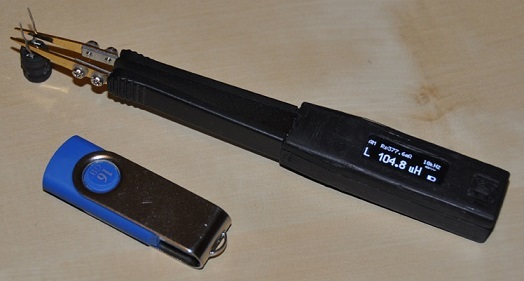 The device is powered by Li-Ion battery charged by Micro USB cable. Some of the features known to Smart Tweezers were lost on the new device, including; the offset subtraction feature, voltage measurement, diode and continuity testing and component sorting. The LCR-Reader will be available in July-August 2013, with sales expected to be fourfold to the ST5 model. A 20% discount is offered for customers pre-ordering the exciting new model. An intro video is available for viewing. The third agreement made to have the popular device offered in Asia, Smart Tweezers have entered the Japanese market with help from Alpha Corporation from Chiba, Japan. Alpha Corporation is a distributor of nieche testing tools, materials and machinery for electronics, primarily offering imorted products to Japanese clients. Alpha Corporation also offer unique test equipment for PCBs. Established in 2005, the company offers domestic sales of electronic measuring instruments, precision measuring instruments, inspection equipment.